The first thing that you do after you get engaged is tell all your family and friends, the second thing you should do is figure out how much you want to spend on your wedding. According to one source, an average Colorado wedding cost is a little over $31,000! Keep in mind that average includes the downtown Denver weddings, the Colorado State Park weddings, the Vail resort weddings and everything in between. 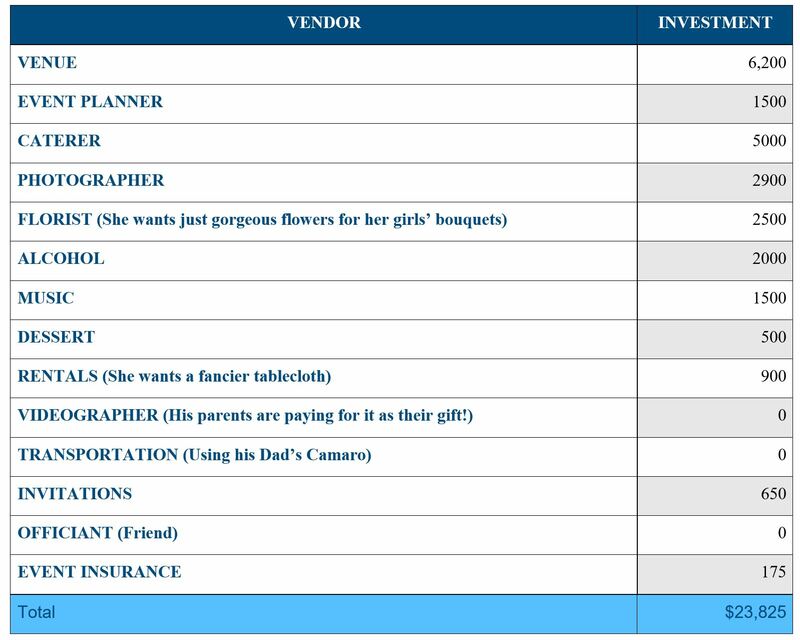 So we did some research using some of our favorite vendors and found out how much is realistic for the true cost of a Colorado wedding. This is just a guide and these are averages, but it may help you see where you can save and where you want to spend a little more, and of course, we have provided some tips along the way! Here are some realistic numbers to consider based on a 100 person wedding. Beside each investment item are some tips to consider for each one. 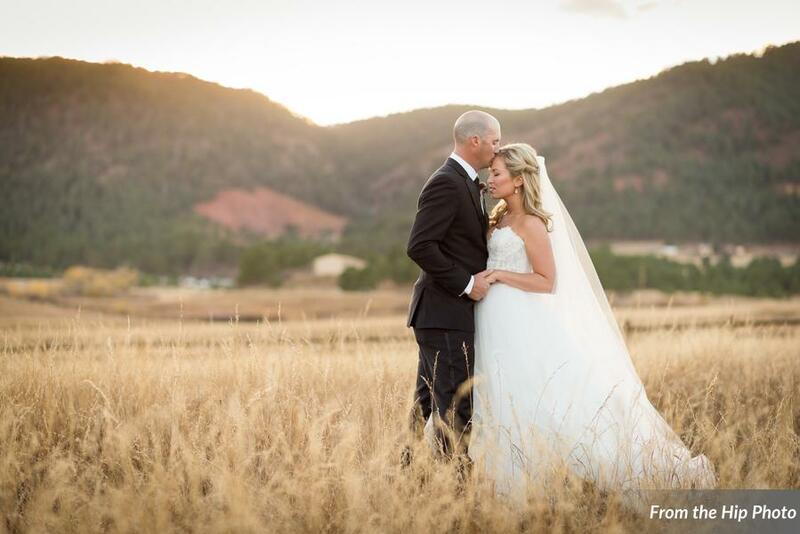 The cost of your venue can vary greatly depending on the three points below, so this price is based on a wedding at Spruce Mountain Ranch during Prime Season, but on a Thursday, because we have been seeing a huge trend of weekday weddings and whole weekend wedding celebrations with the family afterward! • Time of year you want to get married. 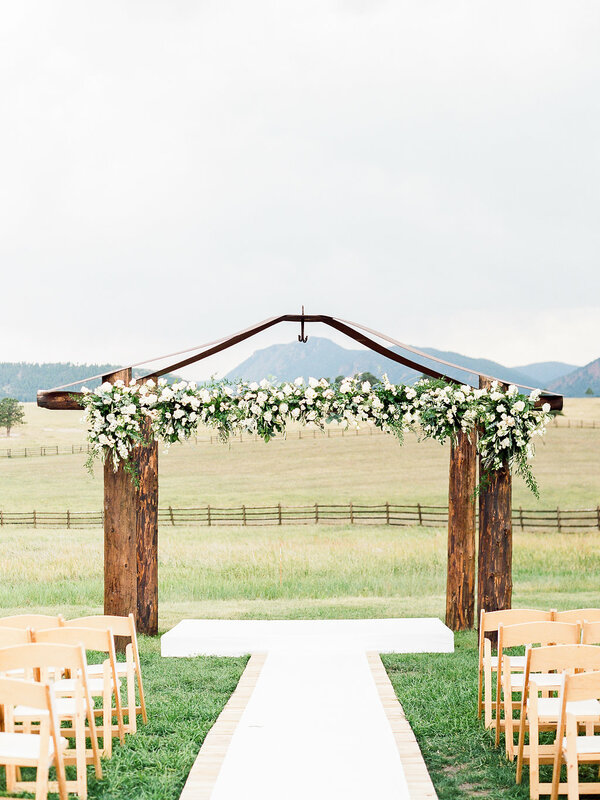 “Prime” wedding season in Colorado typically runs from May through October so if you don’t have a preference, any months outside of these will likely result in discounted prices for your venue and possibly other vendors too. • Location of your wedding. If you want to get married in downtown Denver or one of Colorado’s prime mountain resorts, prepare to pay a heftier price tag. For a Colorado feel, but without the enormous price tag, check out some of the small business owned ranches like Spruce Mountain Ranch! • Guest count (100 People). You will be hearing about this number A LOT from all different directions. Your mom, your dad, your caterer, grandparents, cousins, friends, DJ, venue and everyone else you can think of. The important thing to keep in mind is what do YOU want? If you would like a small, intimate wedding, don’t let someone bully you into inviting someone’s second cousin, twice removed, daughter’s boyfriend whom you’ve never met and whom she will probably break up with two weeks later. Decide first the size you want and the feel you are going for. Before you go any further in creating your budget we recommend that you write down your biggest priorities. Let’s just say that your fiancé is a foodie and wants a farm-to-table menu and you are most worried about having incredible photos. AWESOME. That is the perfect starting point for booking your next few vendors. This list below will help you sort through the other vendors that will make your day amazing and uniquely yours. This person is vitally important to the success and stress of your wedding day and planning process. They are essentially your live encyclopedia on weddings and events as far as costs, timelines, decor, recommendations, etiquette, random questions, and sanity during this process. Believe us, whether you just require a “Day-of” Coordinator or a full planner, these incredible professionals are worth their weight in gold. This is one number that will fluctuate greatly with your guest count. One of the reasons being is that great caterers aren’t just providing the food, they will help get your table settings, linen rentals, non-alcoholic drinks, servers, set up and tear down. So, if you think about it logically, the more people you have, the more food, rentals, and service people you will need through them. Your photography investment is easy to calculate because most photographers charge a flat rate based on the packages they offer. Be sure to hire a professional and don’t just trust a friend who is practicing to become a professional. These are your wedding photos that you will enjoy for years to come, don’t entrust an amateur with such an invaluable heirloom. If flowers are important to you, spend more. If they are not, don’t spend as much, but make sure that they are done well, because they will be in every photo, at least your bouquets and bouts will be! DO NOT try to do this yourselves, at least don’t try to do it without the help of the professionals. They will know how much alcohol is needed for your number of guests and no matter what, DO NOT just let a friend serve the drinks. 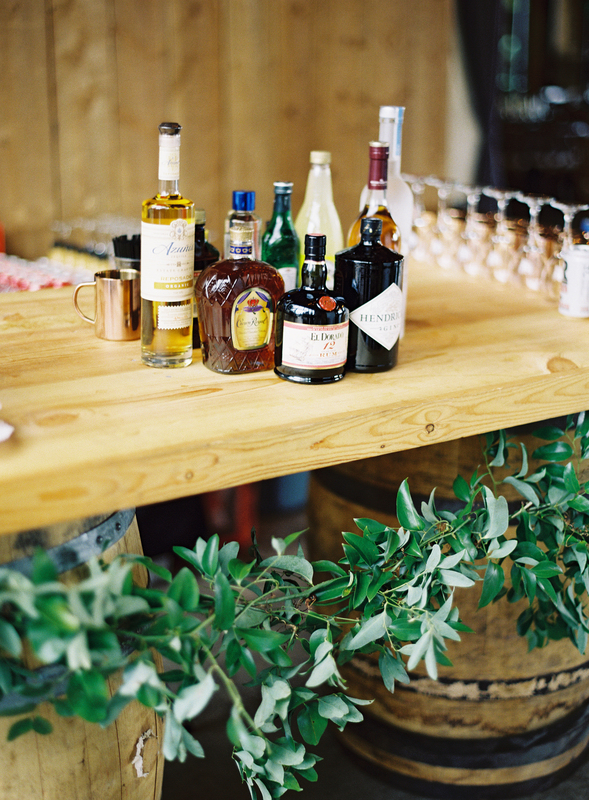 Especially in Colorado, hire professional TIPS trained bartenders who will make sure that your friends and family are safe while they are having fun. That’s why we require you to do business with Peak Beverage. Safe, knowledgeable, and professionally trained teams. There are many different options for ceremony and reception music. You can do a DJ for all of it, a band or musicians for all of it, a mixture of the two, or whatever you’d like. We recommend you at least do a professional DJ for your reception because they are not just playing music, but they are emceeing the whole night and helping your guests know where to go, what to do, and what’s coming up next. This can be as expensive and elaborate or as simple and sweet as you want. Whatever you choose to do though, be sure to clear it with your caterer! These are your table, table settings, chairs, table cloths, etc. Anything that your caterer or venue are not providing. 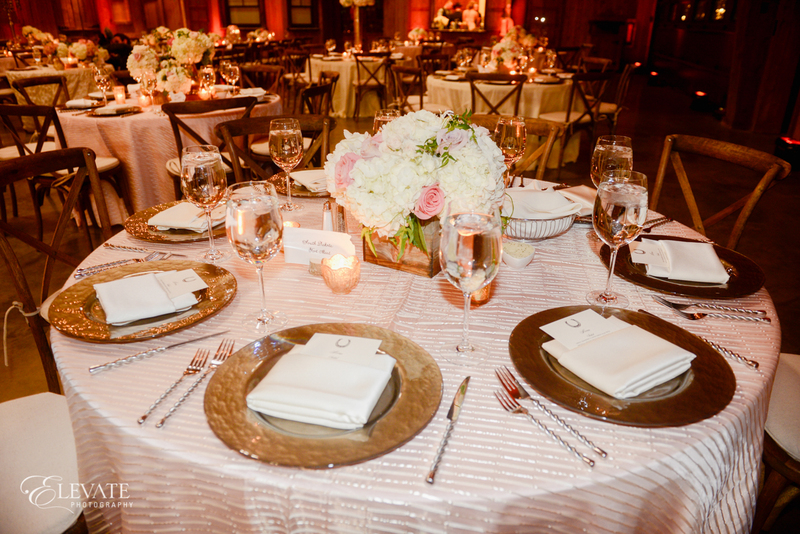 We provide you with tables and chairs so you really only need to add your table cloth and table settings. This service can be invaluable to you if you value home videos or really want to showcase and remember your big day. Some couples choose to not have one to save money, but it is a fabulous way to be able to share your wedding with others who couldn’t be there. This is the fun transportation such as a cool car to whisk you away from your party in style! Definitely a neat touch, but not a necessity. Keep in mind that the more unique the shape, heavier the paper, and more inserts you have, can increase the postage cost of your invites. A custom stationary shop could answer a lot of your questions about any of these things! In Colorado you can self-solemnize or even have a friend marry you, but if you would rather go the professional route, there are some really great ones out there! This price is an average that includes transportation for your guests from the hotel. Having transportation arranged for your guests can be a huge relief, keeps them safe, and allows them to all have a great time! Also, typically this isn’t an expense that you will have to worry about paying for unless you absolutely want to! You may consider this just another thing that we require you to have, but it’s so very important for your protection! Let’s break this down. This is the true cost of a Colorado wedding for a fictional Barbara and Jim. Barbara and Jim are spending almost $10,000 less than what the average cost of a Colorado wedding is said to be. You can save more in some places and splurge in others just like them and make it your own! We really hope this helps you to understand what the true cost of a Colorado wedding is, and that you have more confidence creating a realistic budget. Remember to ask your friends, family and wedding planner for their recommendations, you may sometimes even get a referral discount or coupon from them! Always know what your priorities are and what you don’t care that much about, to help determine your budget. And never forget the real reason behind all this preparation, because all that really matters is that you get to marry your best friend. No budget or detail or moment of stress is more important than that.